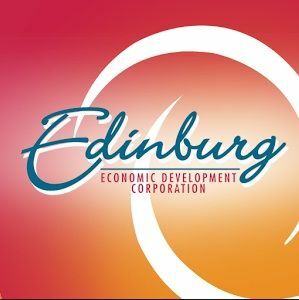 EDINBURG — The city council approved the proposed budget for the Edinburg Economic Development Corporation this week — but not before the director had to answer another round of questions. EEDC Director Gus Garcia again defended his proposed budget, which reflected more expenditures than revenues. The council rejected his first proposal — which didn’t include those figures — earlier this month. According to information provided in the agenda packet, the EEDC expects to receive approximately $6.9 million in revenue during the upcoming fiscal year and budgeted $7.4 million in expenditures. It has historically been added to the budget, Garcia added. Molina then questioned the EEDC’s expenditures on this year’s state of the city address. The nonprofit spent over $35,900 on the event. About half of the cost went toward the rental of the new IMAX theater where the event was held. “That’s how we kind of end up in the red,” Molina said. Molina then turned his attention to Santana Textiles, a denim manufacturing plant that owes the EEDC $13.8 million. The business loan became a huge point of contention during the previous city meeting, where the discussion escalated to a screaming match between the council and the company’s CEO. Santana recently obtained a second loan that operates through a tax credit system in partnership with the U.S. Treasury. The loan, however, means the IRS placed a lien on the company, giving the federal government first dibs, should the company default on the loan, leaving EEDC with a larger financial risk. “I have a delinquent tax statement summary that Santana is back on taxes,” Molina said. Garcia was not aware of the delinquency. “This is something that you can pull off the internet,” Molina said. The council member questioned why the information had not been included in EEDC’s audit. “The company audits the EDC, not Santana,” council member J.R. Betancourt said, adding it would be out of the audit’s scope. Betancourt, a certified public accountant, then pointed out the delinquency was not on property taxes, but on furniture and fixtures. “But it is delinquent, council member?” Molina replied. Council member David Torres questioned several large line items that didn’t offer much information, particularly a $19,000 allotment for travel to Mexico. During the previous meeting, Torres requested information about the EEDC’s consultant in Mexico and the services being provided to the city at a cost of $100,000 per year. Garcia said he would provide him with the information. Put to a vote, all but Molina and Torres voted to approve the development corporation budget.